Karnataka, a land of beautiful beaches, coastline, mountains, and landscapes, offers many heritage sites that are of historical and religious importance. If you are holidaying in Karnataka with your family, you absolutely cannot miss visiting these iconic sites. 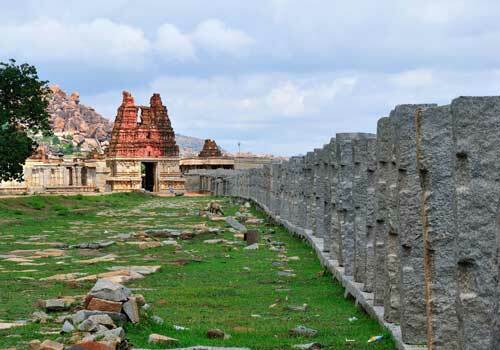 Among the list of places to visit in Karnataka include the Hampi group of monuments, Somanathapura, Kurudumale, Bylakuppe, and Halebid and Belur. Visiting these heritage spots is also important because it will prove to be an incredible learning experience for children who will be fascinated by the Karnataka heritage. 1. 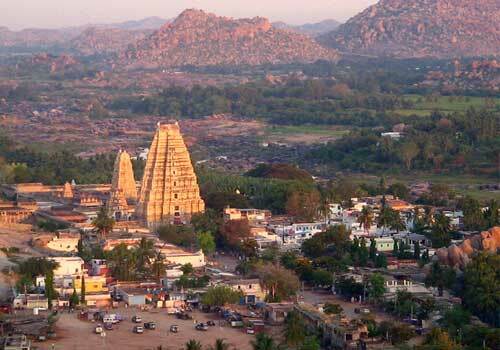 Hampi Group of Monuments: Hampi depicts the Vijayanagara Empire most prominently. A temple dedicated to Lord Shiva, known as the Virupaksha temple, is a very popular spot among tourists. 2. Kurudumale: Once the capital of Hoysala dynasty, this place is famous for Ganesha temple that was built by Vijayanagara kings. The temple stands tall at 13.5 feet. The artistic Someshwara temple is renowned for its one-rock formation built without any foundation. 3. Somanathapura: One of the brightest examples of Hoysala architecture, the Chennakesava temple, can be seen here. The entrance of the temple through a porch along with tall lathe-turned pillars is a magnificent sight. 4. Bylakuppe: If you wish to see one of the largest Tibetan settlements outside Tibet, Bylakuppe near Coorg is the town to be in. With the Chinese aggression in the 1960s, Bylakuppe was introduced to the Tibetan culture when Tibetan refugees settled here. It is an excellent tourist site to visit monasteries. The Great Gompa of Sera Jey and Sera Mey cannot be missed. It is an hour away from Madikeri, and the journey is a splendid one. 5. Halebid and Belur: This part of the region was formed between the 12th and 13th century. Vacationers can find a range of the Hoysala Dynasty temples between both towns. The temples are built out of a soft stone called Chloritic Schist (soapstone). One can see the work of ivory and sandalwood too. One of the leading pilgrim centres of Jainism is the Shravanabelagola Temple that features an 18-metre-high monolith of Lord Gomateshwara. A holiday in Coorg is made even memorable with a Club Mahindra Membership.A delightful stay at the Club Mahindra Madikeri or Virajpet resorts in Coorg is highly recommended. Comfortable, spacious rooms with essential amenities offered at the resorts make it a top-notch destination, according to the Club Mahindra reviews. While at the resorts, you must indulge in the lip-smacking delicacies of Karnataka offered at the restaurants in the resort. Apart from witnessing the glorious Karnataka heritage, families can look forward to enjoying an array of activities at the resorts. Explore the best of Karnataka while you stay at the best resort in Coorg. Few experiences will be as unforgettable as the vacations you take with a Club Mahindra Membership. This entry was posted in Karnataka and tagged heritage destinations in karnataka, heritage sites in karnataka, heritage travel karnataka, karnataka travel. Bookmark the permalink.